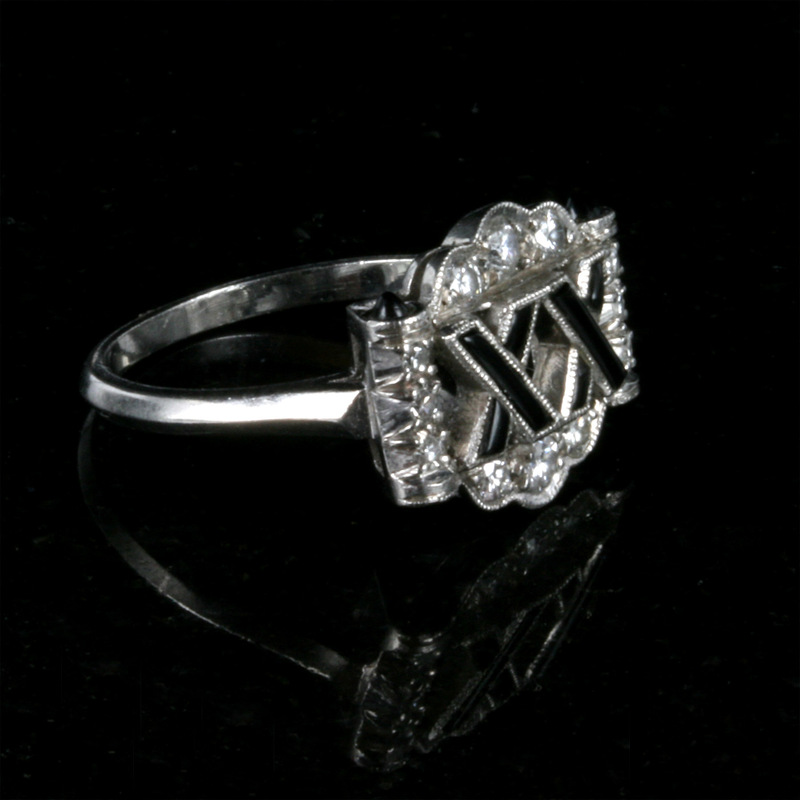 Unique Art Deco onyx and diamond ring. Product code: 1633 Categories: Sold Items, Sold Rings. 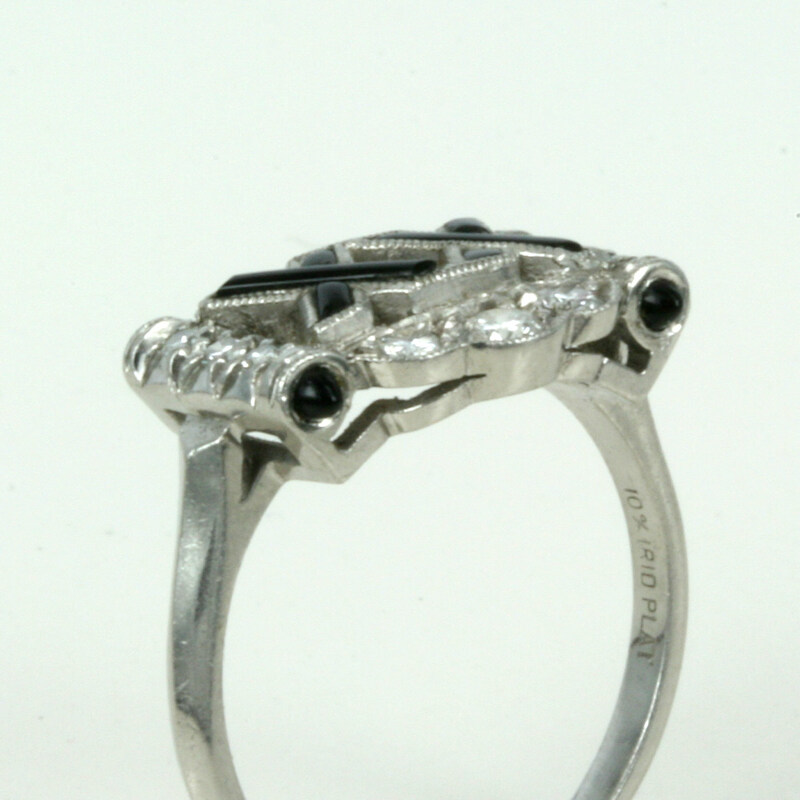 Here is one of the most unique and elgant Art Deco era rings around – a magnificent 1920’s ring hand made in platinum and set with diamonds and onyx in a wonderful design. The ring is set with onyx and diamonds in such an attractive design, and in total there are 12 diamonds that total 0.30 carats. On the side, there are 4 more pieces of onyx that make this ring so captivating from all angles, and this is one Art Deco ring that will always be admired. 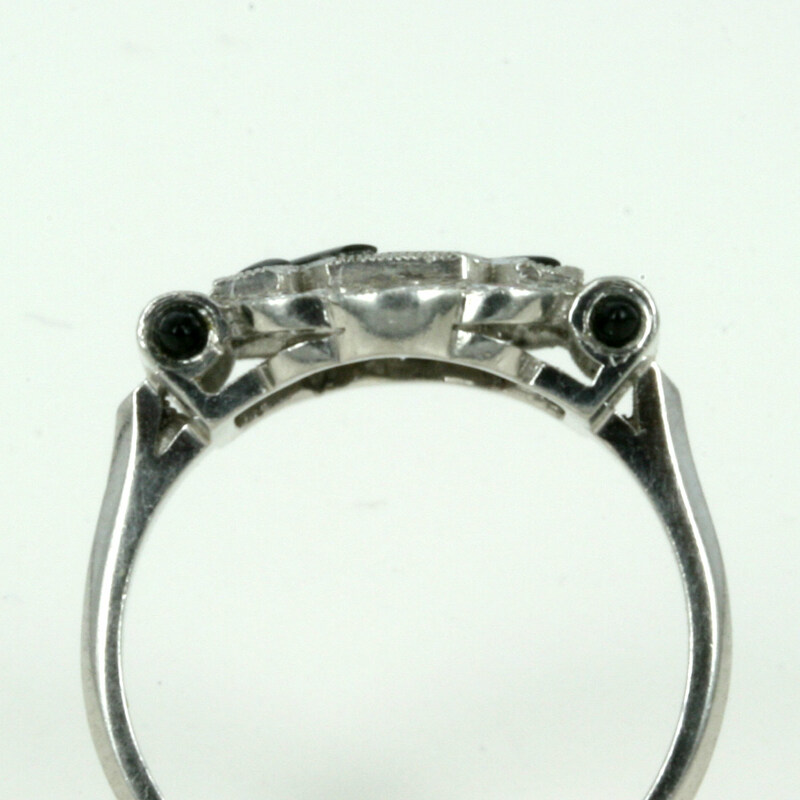 Platinum is such a wonderful and pure white metal, and works so well with the diamonds and black onyx. The ring measures 1.5cm from left to right by 1.3cm from top to bottom and looks amazing on the hand. A truly unique and individual example of Art Deco jeweleery from the 1920’s.